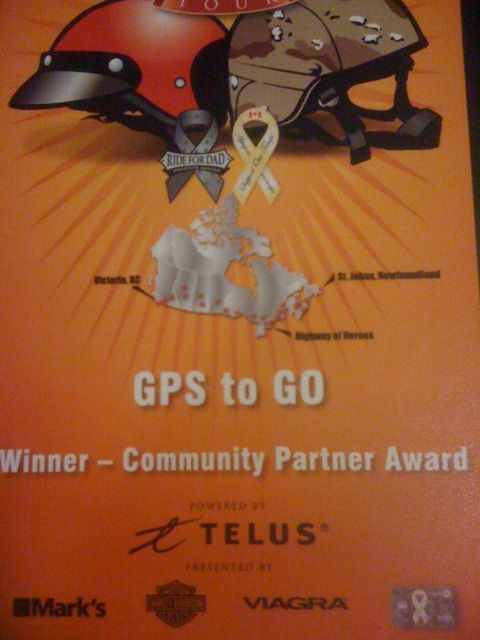 GPS to Go was so honored this year to receive Community Builder Award for supplying free GPS Tracking for the National chase vehicle “Big Bertha” which allowed participants across the country to look live through our website and see where the ride was in real time. No more looking longingly down the highway wondering when they were gonna show up. GPS to Go .. now you know!